How many times have you woken up to a new pimple or another sign of stressed-out skin? It always seems to happen at exactly the wrong time; but let’s face it—there’s never really a good time for a bad breakout. Luckily, we have a few tricks up our sleeves that can help you rediscover clear skin! Here are some of our favorite products to care for your skin, plus tips for treating acne and giving your skin a little TLC. 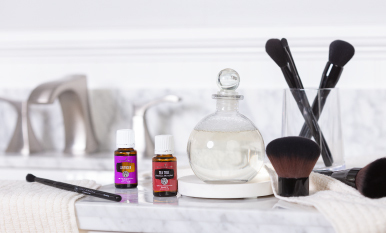 With these essential oils and oil-infused products by your side, you can be on your way to banishing blemishes and bringing back your glow. Oil for your skin? It might seem counterintuitive, but Tea Tree essential oil has incredible cleansing properties that make it a popular choice for skin care products. This oil is great for all skin types but is especially suited for use on oily skin. Try it as a spot treatment by placing a drop on the end of a cotton swab and dabbing lightly onto blemishes. Tea Tree isn’t the only oil that’s great for healthy-looking skin! We love Rosemary essential oil for more than its energizing herbal scent. It’s also a great addition to your facial cleansing routine, leaving your skin feeling fresh and bright! Combine 1 drop of Rosemary with 4 drops of V-6™ Vegetable Oil Complex. Dip a cotton ball in the solution and apply it after you wash your face. Our Maximum Strength Acne Treatment is packed with naturally derived ingredients! Maximum strength salicylic acid from Wintergreen helps clear acne blemishes, and essential oils such as Tea Tree and Manuka offer additional benefits for your skin. Aloe and chamomile extracts help keep skin soft and moisturized for a treatment that’s both powerful and gentle. Wash your face thoroughly and cover the entire affected area with a thin layer of Maximum Strength Acne Treatment 1-3 times daily. Note: Even though this product is formulated to be gentle, drying can occur. Begin with one application daily and gradually increase to 2-3 times daily if needed. If dryness or peeling occurs, reduce application to one time a day or every other day. Successful skin care starts with a great facial cleanser! 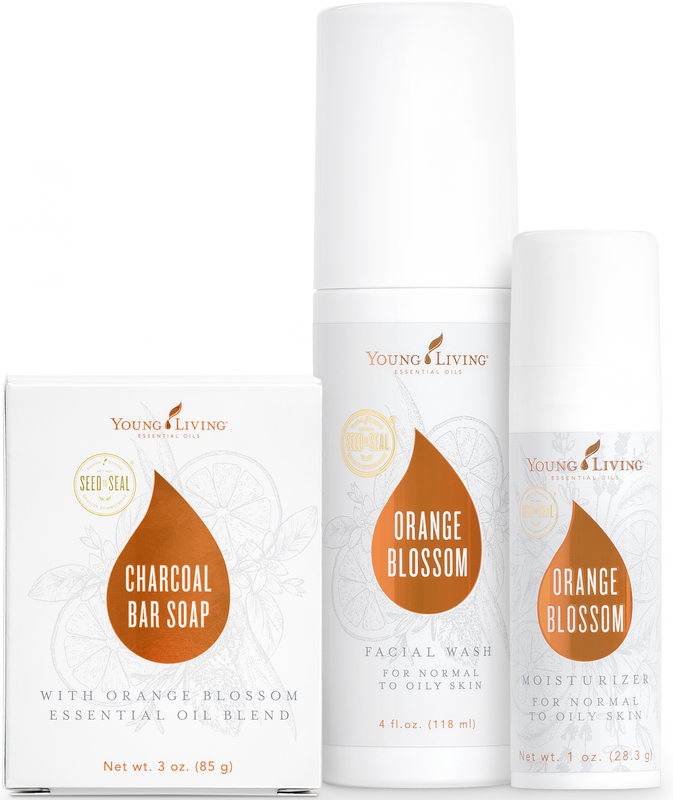 When it’s time to wash your face, reach for our Orange Blossom Facial Wash. It’s made from naturally derived ingredients, including Lavender essential oil, and is great for sensitive skin. The hypoallergenic formula gently cleanses surface oils and removes dirt and makeup without making your skin feel overly dry or tight. Create a clean slate for your morning and nighttime skin care routine. Wet your face with warm water and gently rub a small amount of Orange Blossom Facial Wash into your skin; rinse with warm water and pat dry. Treat your skin to a deep drink of hydration with Orange Blossom Moisturizer, formulated with essential oils. This essential oil-infused moisturizer uses only naturally derived, plant-based ingredients that are non-comedogenic and vegan-friendly. It’s formulated to benefit oily skin without irritation from harsh chemicals! Smooth this fresh-scented moisturizer across clean skin morning and night. Activated charcoal has powerful absorption properties, making it perfect for pulling out dirt and impurities without stripping your skin’s natural moisture. Our Charcoal Bar Soap has a naturally derived formula that includes powerful skin-cleaning agents, moisturizing ingredients, and a bright, fresh scent. It’s great for multiple skin types and especially benefits combination, oily, or acne-prone skin for a clear, healthy-looking complexion. Use as a facial cleanser by working the soap into a lather and applying it to your face in a gentle, circular motion; rinse thoroughly with warm water. Let the skin-cleansing power benefit you from head to toe! It’s a great whole-body cleanser and leaves you feeling soft and smooth. Want more? Check out more essential oils your skin will love, and try out some of these DIY ideas for every skin type! Which oils are an essential part of your skin care routine? Let us know in the comments! Turning your bathtub into a luxe experience has never been so easy! 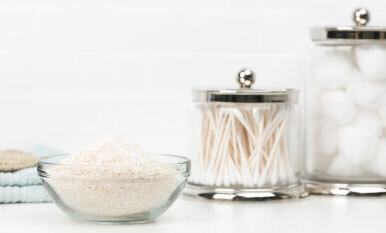 Put your freshest face forward with this five-ingredient mask! Weekly to-do list: Clean your brushes!